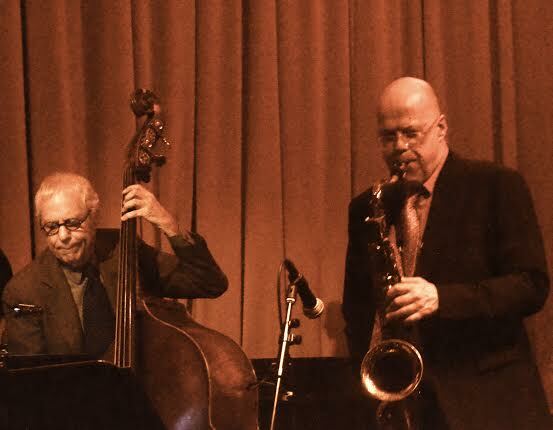 Live Jazz: Bob Sheppard with the Pat Senatore Trio at Vibrato Grill Jazz…etc. Bel Air, CA. Some of the best nights for jazz in Los Angeles take place on the week nights when the city’s prime jazz destinations – Catalina Bar & Grill, Vibrato Grill Jazz…etc., the Blue Whale and beyond – schedule appearances by the Southland’s finest side men (and side women). By the players, in other words, who spend most of their time working as back-ups, rhythm sections and big band section players. Many of whom are also busy studio musicians, performing daily on the sound tracks for films and television, on recordings for everything from country music and the blues to jazz, pop and classical music. Friday night at Vibrato was a good example. Bob Sheppard, a master of woodwind instruments of every shape and size, gave a full fledged display of his far-ranging jazz skills, backed by bassist Pat Senatore’s equally skillful trio of masterful instrumentalists (Senatore, bass; Tom Ranier, piano; Ramon Banda, drums). An evening, in other words, that was a reminder of how much fine jazz can be heard on any given week night in the Southland. Check the informative calendar of LA Jazz and you’ll find something appealing on virtually every night.